Holly Shores Camping Resort is your perfect one stop shop for your camping destination as well as your lodging! Our preowned RVs for sale by owner are already in campsites and ready for you to move in! We currently have travel trailers, destination trailers, and park models for sale. Browse our listings to see if we have something that ticks all the boxes for you! 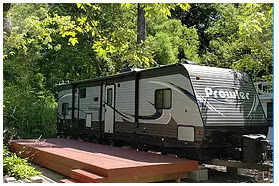 This 2017 Heartland Prowler for sale includes a master bedroom, and additional bunks and beds to sleep up to 10. It’s also equipped with a power awning with LED strip, TV, 15,000 BTU A/C, installed deck and more! Additional information here. 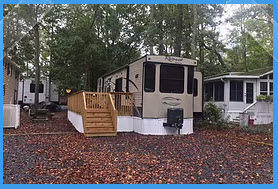 This 2016 Keystone RV Retreat destination trailer for sale sleeps up to 6 people, and has 2 bedrooms, a fireplace, and upgraded sound system with outdoor speakers. It also includes 2 TVs, a grill, and a new deck. Click here for more information. This 2011 Keystone RV Retreat destination trailer for sale has it all! 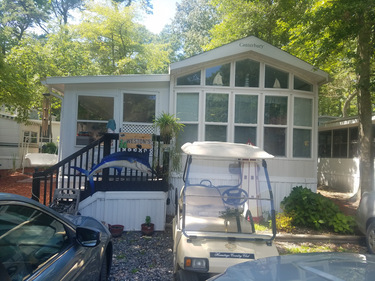 It sleeps 7, and is fully loaded with all the amenities including appliances, 4 TVs, front open deck, fire pit, and golf cart. 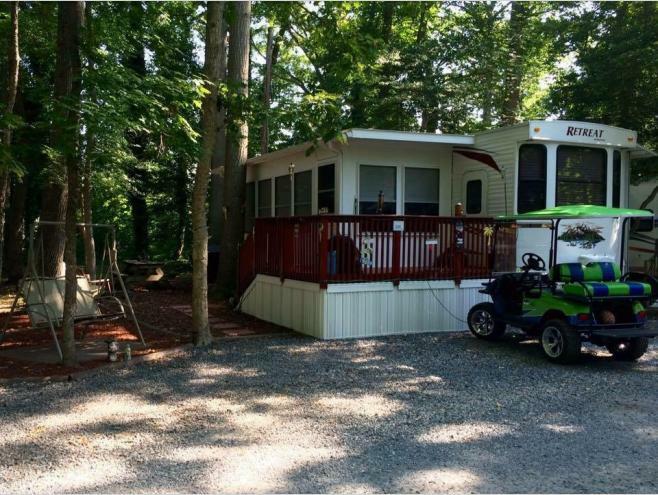 You’ll have plenty of room for the whole family in this triple slide destination trailer. You can find more information here. Looking for a semi-permanent vacation home? 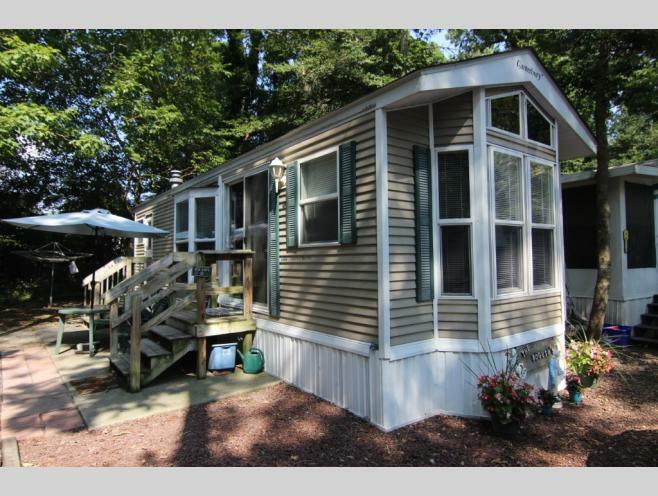 This 2000 Canterbury park model for sale features 2 bedrooms, sleeps 6, and comes with a newer roof. You’ll find plenty of storage, including 3 closets, in this model, which is great for your long term stay! Click here for more information. If you love the idea of a park model but need something a little bigger, take a look at this beautiful 2002 Canterbury park model for sale. It sleeps 8, includes a master bedroom, back loft with full bed, and front loft with twin bed and queen air mattress as well. Enjoy 3 different TVs, a screened in Florida Room, outdoor furniture, and the included grill. Find out more information here. These RVs for sale by owner are beautiful and ready for your enjoyment for years to come. Each of the listings include contact information for the owner, so you can get directly in touch. Want to explore the sites where these gorgeous vacation homes are parked? Contact us today. Or if you have a used RV at Holly Shores that you’d like to include in our listings, give us a call.